Are you an entrepreneur who is trying to obtain a web presence as a way to promote your company or business? Then you are probably at some time or another going to, or maybe you have already, ventured into the world of blogging. Blogging, though it began as sort of a hobby for many, has turned into a profitable business for others. It is also a way to aid you in connecting with your target audience and drawing them into your websites through a new format, the blog. However one key to remember is that your website doesn’t just need a blog, your website needs and up to date blog. Branding – Having a blog gives you a place online to help establish your brand. It can help you to build a reputation with your readers that will give you a positive image. Also, it can help lead your readers to become your customers. Fresh Content – Fresh, original content on your blog helps the search engines find you. The more often you can provide fresh content the better off you are. SEO (Search Engine Optimization) – Search Engine Rankings are where it’s at these days. You can receive higher rankings for your website by using a blog and its content to improve those rankings. We optimize your blog posts with keywords that help drive traffic to your site, increasing your search engine rankings. More Traffic – Above all, the blog helps with your traffic as previously mentioned. Whether you want higher search engine rankings or just more customers, traffic is the way to receive both. A blog with fresh content is how to get that traffic. Want to know more about how to have your website be a website that lives up to the phrase, “If you build it, they WILL come”? Download our Ultimate WordPress Website Checklist. 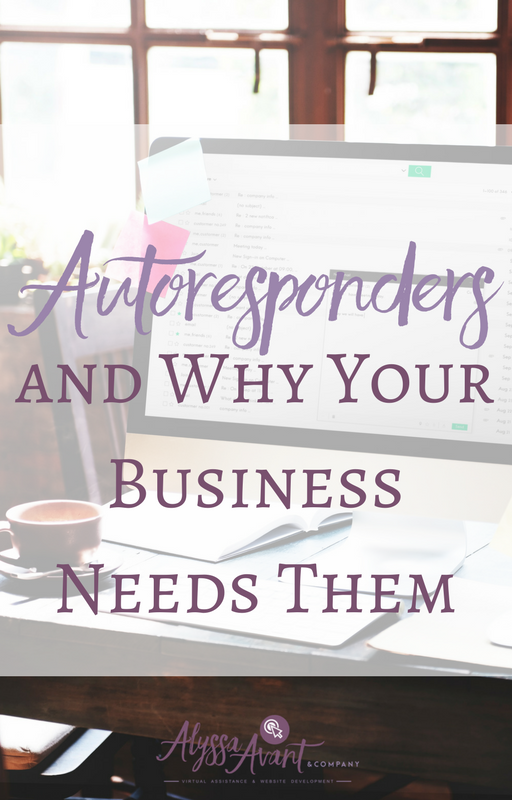 I’ve had people ask me, “What is an autoresponder?” Simply put, an autoresponder is a email system that automatically sends out email messages for you. It can be programmed ahead of time to send out messages when someone opts in to your newsletter or ecourse, or when you want to set it up to send out your newsletters over time so that you don’t have to go in and send out the message that given day. Because of the magic of the autoresponder, you are able to preschedule your messages for as far ahead as you’d like, saving you time. This post contains affiliate links that do give me a small commission if purchased from. Autoresponders work their magic while you work yours doing something else. Many years ago I would not have suggested an autoresponder or even known how to explain to you what one was, but now I use them successfully in my business and therefore realize their importance. I would encourage you to give them a try in your business as well. They can allow you to do so much without having to put forth a lot of effort or work multiple times. An autoresponder is one way to work once and reap the benefits of that work again and again. Create one set of messages and use them to email to subscribers for years to come, without having to go back into your email system weekly to mail something out to your readers. Having an autoresponder work in your business allows you to set it up once and benefit from it hundreds, even thousands of times. So, what options are there for autoresponders to use in your business? My favorite autoresponder / email management system is Active Campaign, hands down. I love its features, its ease of use, and the cost as well. It’s affordable and does everything I need it to do in my business. There are other options out there as well, several include Aweber, Mailchimp, and ConvertKit. An important part of any business is communication with your clients or potential clients, as well as building a list of those. An autoresponder can help you to do this, get signed up with one today. Don’t hesitate; they really aren’t as scary as they sound. The first step in getting an autoresponder going is giving away a free offer, something of value for free in exchange for a name and email address. You do this by creating a landing page. If you’re not sure what a landing page is or how to create one, contact me to see how I can help you! Building a business online can seem like a daunting task, there are so many steps involved. One of these steps is often referred to as building a tribe or a community. You want to accumulate followers or fans that follow you and your business and eventually purchase from you. They will be more likely to purchase from you as they begin to know you, like you, and trust you. 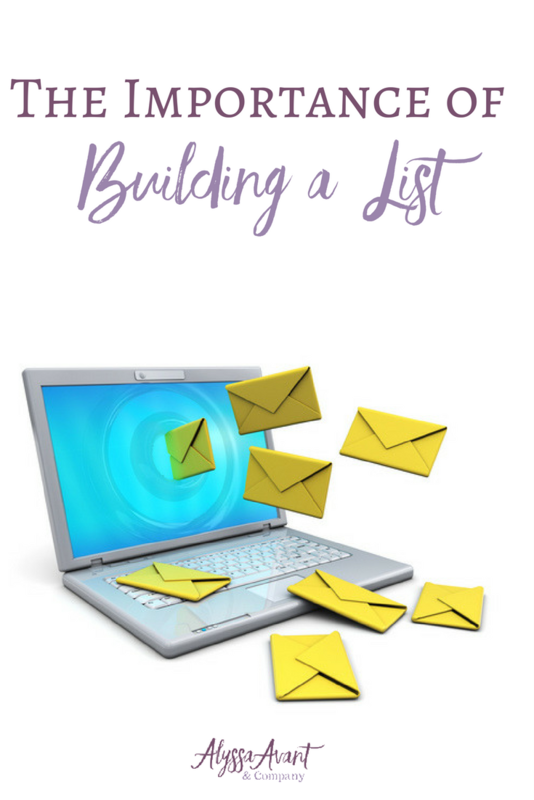 One of the steps in this process that helps you to build the relationship with your community that is needed in order to convert visitors to clients or customers is the process of building your list. When someone opts in to your list they are giving you permission to send information straight to their inbox and to communicate with them on a regular basis. The idea is that you generate the interest of your potential clients, customers, or your readers through offers. You begin with a free offer or freebie, which is something of value that you give away for free. This could be a checklist, an e-book, a special report, an e-course, or a free audio. There are endless options here. You will notice several “freebies” here on my website. In order to receive the “freebie,” a person must give you their name and email address in “exchange” for the freebie. This puts them on your list and enters them into your autoresponder to receive more information from you in the future. The more information that they receive from you and the better they get to know you, the more likely they are to purchase from you in the future. This is why building a list is so important. Another reason is that in order to generate sales in your business, you will need to get your product or service in front of as many eyes as possible. Every person on your list represents a set of eyes. Without the power of a list, you don’t have much chance to get your product or service out there. The reality is even if you slap your product or service up on your website with the most brilliant and most professional sales page and sales copy ever, if there is no one that knows you, likes you, and trusts you to read it you don’t really have much chance to sell your product or service. A person that is on your list and receives communication from you on a regular basis is more likely to purchase from you than someone who only randomly lands on your website. The reality is the power, and often times the “money,” is in the list. Do everything you can to build your list today and every day in your business. It is never too late. One of the important pieces of building your list is having a high-converting landing page. If this is something you need help creating contact me to get started!